ducky house | the quacks of Tamara Frampton Vieira: Yummus! I took out a subscription a few years back to Reader's Digest. I didn't think I would be getting much reading done with newborn twins beyond a few short stories so RD seemed the right way to go. I still get the magazine and always beeline for the recipe section. The Looney Spoons gals have a section of recipes that are featured each month. In January they had a great version of hummus that I made yesterday and it was delicious. 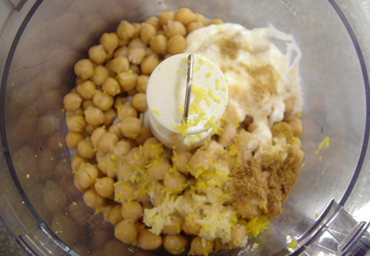 Place all ingredients in the bowl of a food processor and whirl until smooth. 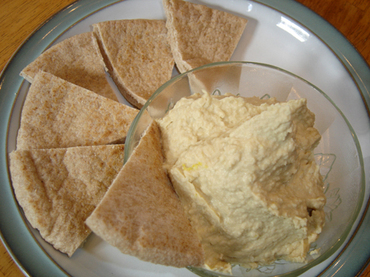 Serve with warmed whole wheat pita wedges or crisp vegetables for dunking (or both). Makes about 2 cups. Enjoy. Mmmmm ... i love hummus. I'll have to try this one. That looks good and not too fattening. I'll have to give it a try.